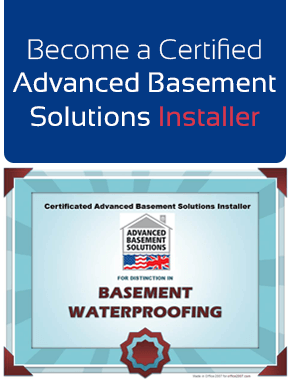 The NEW FLOODBUSTER Basement Waterproofing sump liner kit is a triumph of design engineering. > Sold lid, and we mean REALLY SOLID. The lid is a solid 20mm thick plastic slab, which is as strong as the floor, you can stand on it jump up and down on it put furniture on it! > The sump rim overhangs OUTWARDS so that the edge of the lid is supported by concrete all the way round after it is installed - adding to its strength. > It is SQUARE at the top - making it easier to work with, especially if you are putting a floor finish down, a square is mu easier to work around than the industry standard circular lid or the figure of 8 Triplesafe. > It is round at the bottom, and more slender, and not quite as deep as the industry standard 600mm deep liner making it much easier to dig out yet retaining the same overall volume as it is wider at the top (it is easier to dig wider at the top than it is at the bottom). > It comes in an easy to assemble kit so it saves room when stored on on a vehicle and takes only minutes to assemble on site (we pre-assemble for you if you wish). If you are looking to repalce the now obsolete Triplesafe (twin mains pump plus optional battery pump) you would use two together. The additional benefit here is that you CAN put the two sump liners side by side (as in the Triplesafe) but you don't have to - you can put them at opposite ends of the basement is you wish. The basic price is for the liner, lid, quiet inline check valve and alarm, the pumps can be purchased separately or added from the drop down menu. The pumps that we use with the new FLOOD-BUSTER have some significant improvements too: - CLICK HERE TO FIND OUT MORE!